Today I’m excited to share a fun book by PAPERMADE™ with you. 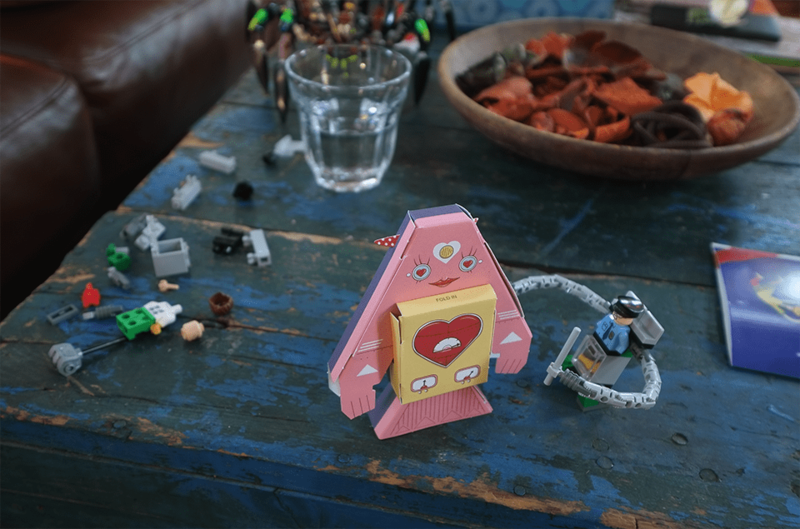 Paper Robots. 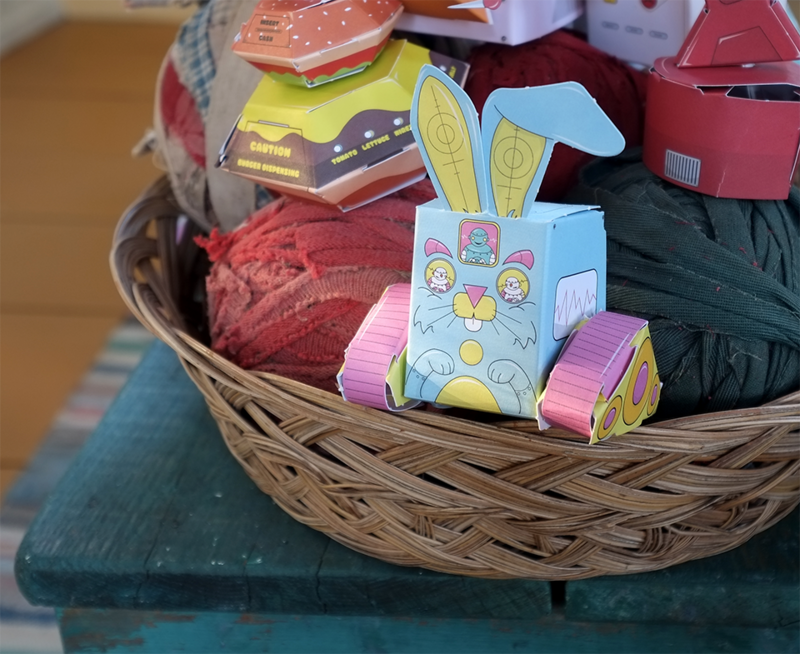 20 Easy-to-Make Robots. My original idea was to save our copy for the Winter break, so we could build 4 or 5 robots a day with the kids, but they couldn’t wait. We ended up building all the 20 characters in a single day! Over here you see Hug, the hugging robot. He gives you a hug if you insert 25 cents in his chest. We didn’t have to do that because he gave us hugs for free. His manager on the back (left) was not very happy as you can see. He didn’t support the idea of free hugs. This is Crazy Bunny Rabbit. He likes to eat electric carrots but we didn’t have any so he got out of control and started eating that basket. 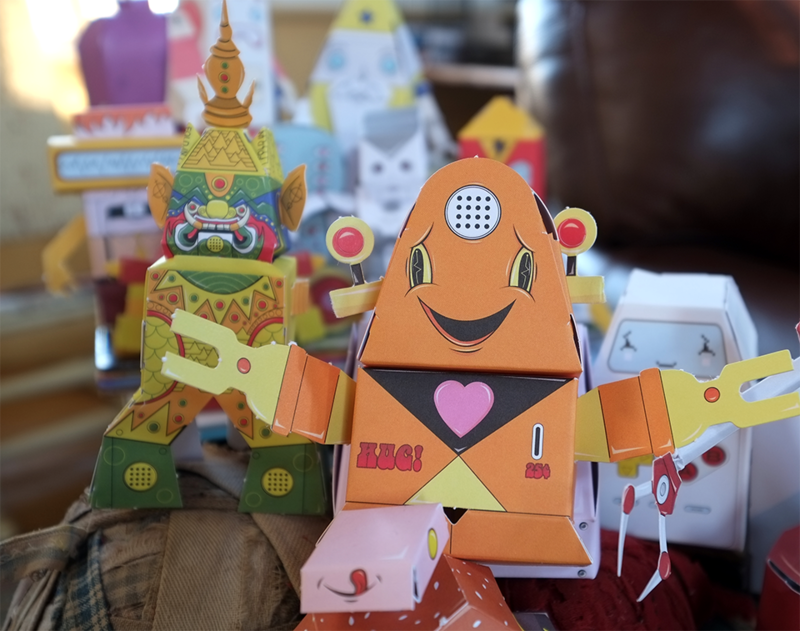 These paper robots have been all over the place in our house including our kitchen, bedrooms, porch, and even the bathrooms. 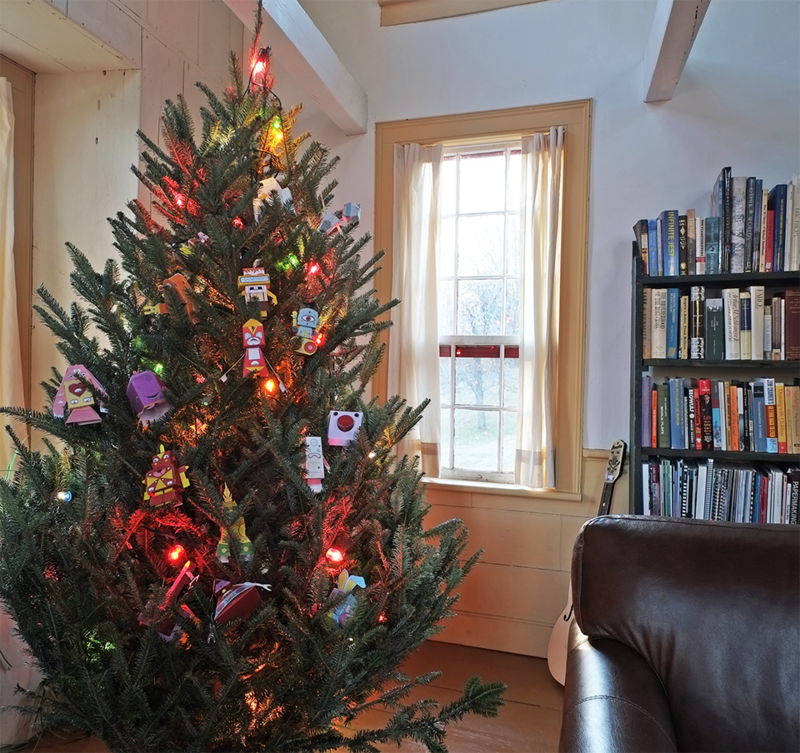 But they finally found a perfect destination: our Christmas tree! Who could imagine that robots would look good on a Christmas tree? But they do. Now we need to sing some Christmas songs in robot language. Lets-sing-a-song, let’s-sing-a-song! OK, this post is all to let you know that this book makes a really fun gift for children and for immature adults like me. I’m now planning to get Paper Pups! I can’t wait. 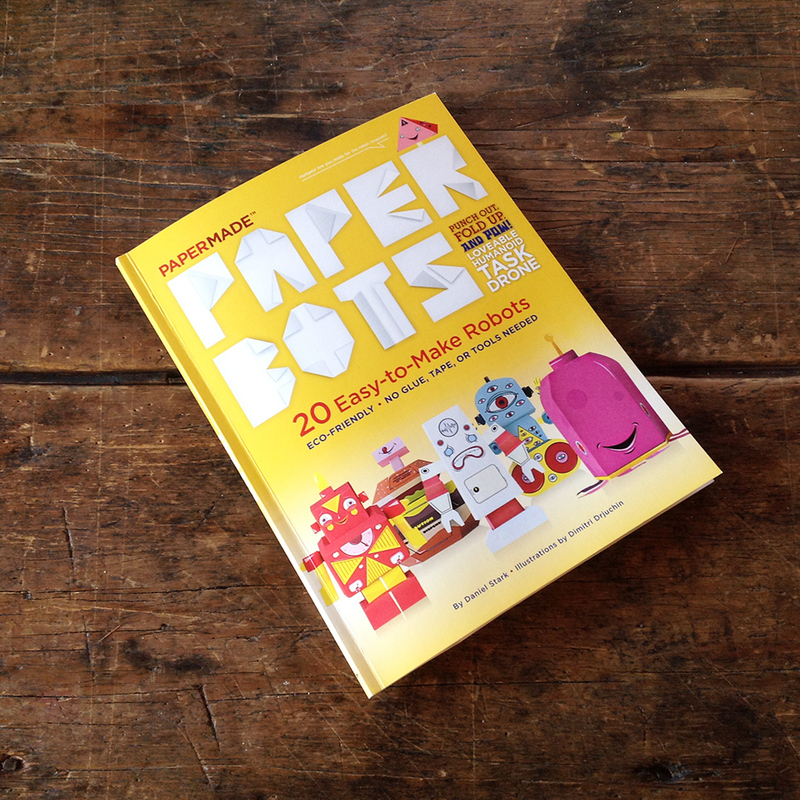 You can purchase the book with the 20 robots here. Thanks for the tip. Am ordering three different books for my grand and niece and nephews. Again, this is awesome and will be looking to buy. I wonder if they have released a more recent book?